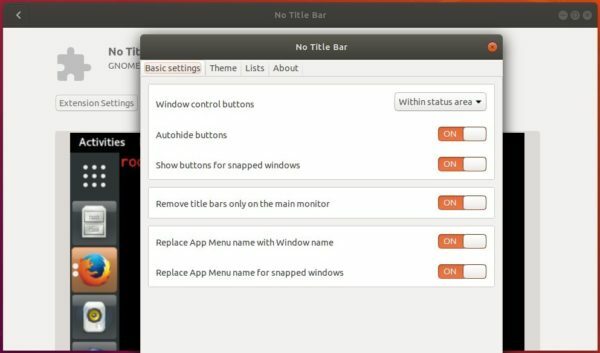 For Ubuntu 18.04 default Gnome desktop, this quick tutorial is going to show you how to integrates maximized application window with the top panel, by removing the title bar, and moving the title and buttons to the top panel. 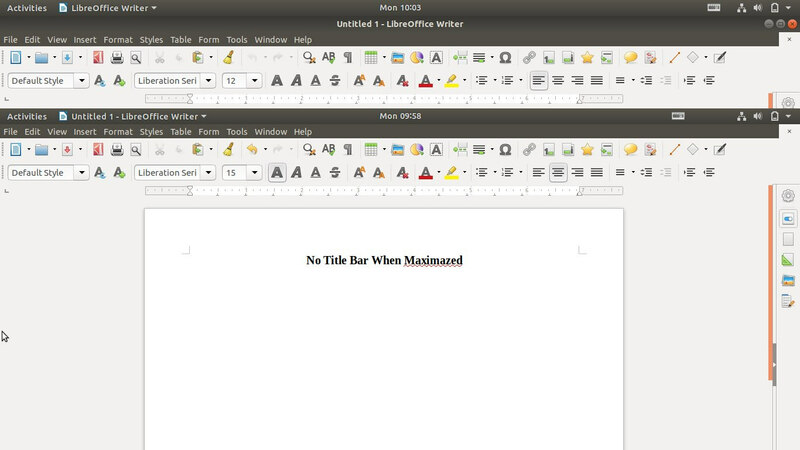 All the work can be done via Gnome Shell extension called No Title Bar. 1. 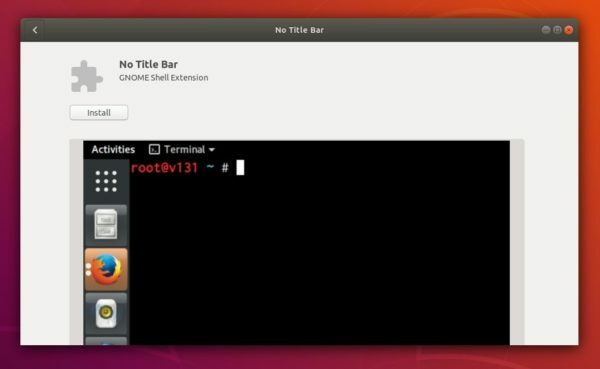 Open Ubuntu Software, search for and install No Title Bar extension. 2. The extension takes effect once you installed it. 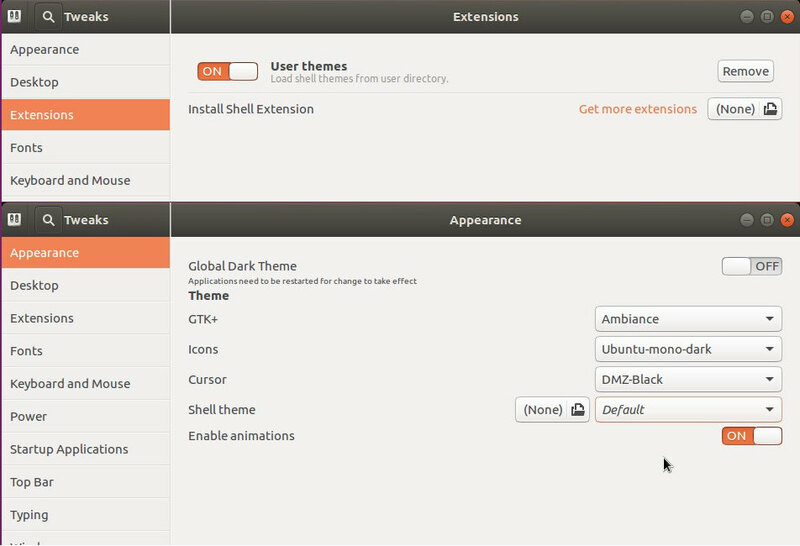 To tweak the appearance, click Extension Settings in Ubuntu Software. The extension does not work for Gnome 3.30 at the moment, Ubuntu 18.10 users can build it from the source code. This quick tutorial is going to show beginners how to install and manage Gnome Shell Extensions in Ubuntu 17.10 while it uses Gnome Shell as default desktop environment. 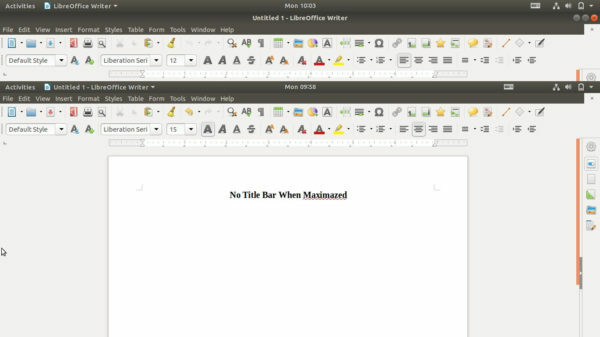 Gnome Shell Extensions are small pieces of code written by third party developers. 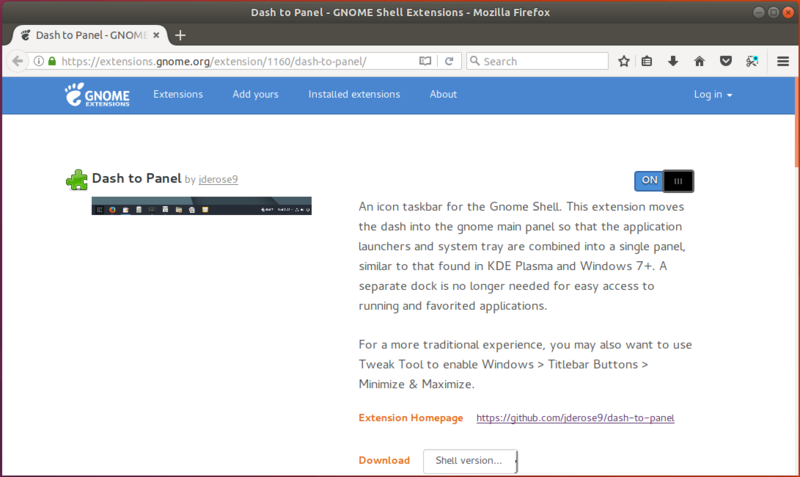 If you are familiar with Chrome Extensions or Firefox Addons, GNOME Shell extensions are similar to them. Gnome maintains a website, extensions.gnome.org, for users to install or upgrade extensions. All extensions there are carefully reviewed for malicious behavior before they are made available for download. For Google Chrome, Chromium, and Vivaldi, install an add-on via chrome web store. 3. Finally go to extensions.gnome.org via your browser, install any Gnome Shell Extension by turning on the switch on the web. Gnome Tweak Tool has an page for managing installed Gnome Shell Extensions. Then launch it and manage installed Gnome Shell Extensions in “Extensions” tab. This quick tutorial is going to show Gnome Desktop beginners how to enable the ‘Shell theme’ drop-down box in the Gnome Tweak Tool. A Gnome Shell theme changes shell buttons, colors, panels, etc. The setting is disabled by default in Gnome Tweak Tool, and you’ll see the prompt “Shell user-theme extension not enabled” when you hover the cursor over the alert icon. 3. 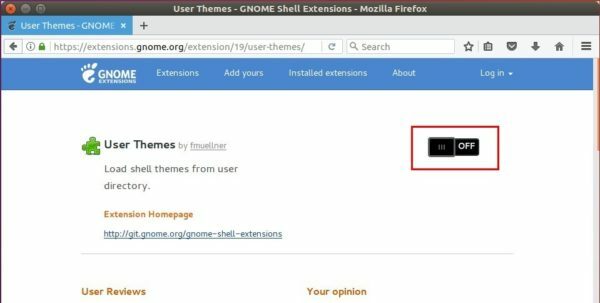 Finally go to https://extensions.gnome.org/extension/19/user-themes/. After all, restart Gnome Tweak Tool and you’ll see the Shell theme drop-down box enabled after enabled the User Themes extension.